\r\nIt\'s been a long time since I\'ve been here but I\'m known on the STS and Dinosaur Toy Forum sites. \r\nI can provide details, but basically I have several contacts in Japan and for the past year have been selling to about 60 US and international buyers. \r\nI can get pretty much anything on Yahoo Auctions Japan and from other Japanese sites and sources, and I virtually always offer the lowest prices obtainable in the US or on eBay, sometimes beating them by 90+%. 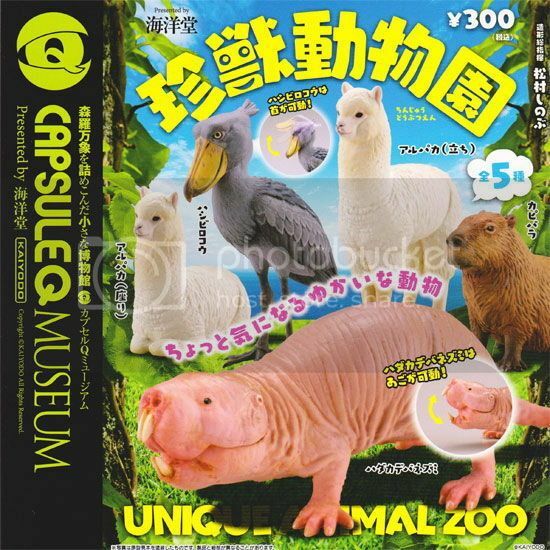 \r\nI\'ll look for a Kaiyodo thread here but for now the CQ Capsule Museum Curious Animals Zoo set (featuring world wildlife) releases (along with the Cretaceous life set) in just over a day on 7/23 and I can of course get it. \r\nPlease contact me ASAP if interested.